Bobbi’s Secret of the Universe. 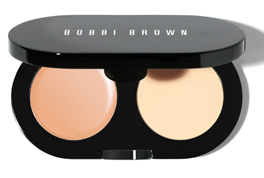 Bobbi believes that the secret to covering dark circles lies in a unique two-step approach. She starts with pink- or peach- toned Corrector to brighten and neutralize the purple and green tones of under eye circles. For pale skin, she recommends the lighter Corrector shades starting with Porcelain Bisque. For deeper skin tones, she recommends the Medium to Dark Bisque and Peach Shades. 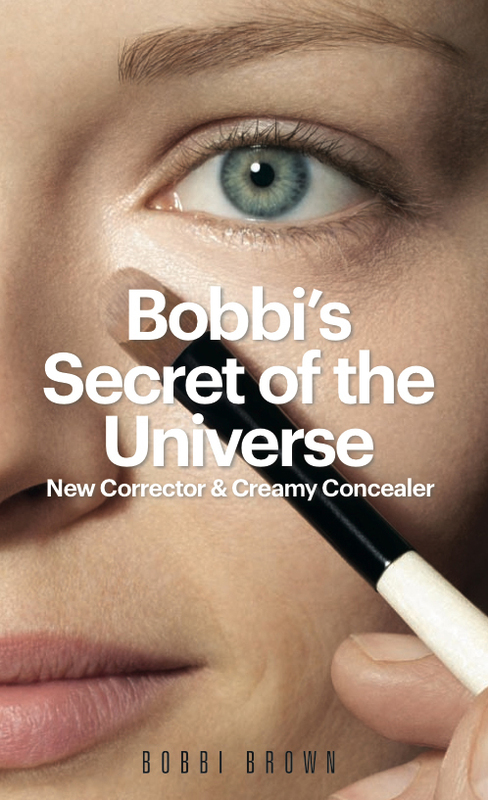 Next, Bobbi uses yellow-toned Creamy Concealer to lighten and blend the under eye area with the rest of the face. Corrector & Creamy Concealer. What’s the difference? Emollients help maintain skin’s moisture levels for a smoother, virtually lineless look. Vitamins C & E offer antioxidant benefits. Silica creates a soft-focus effect that helps soften the look of fine dry lines. Kaolin, a natural mineral, helps formula stay in place and prevents it from settling into lines. Available March 2011 from Bobbi Brown counters and www.bobbibrown.com. Price: $22.00.